My Dream Canvas: Love Affair with Suzani! It's time to bring you this week's "Fabulous Find". 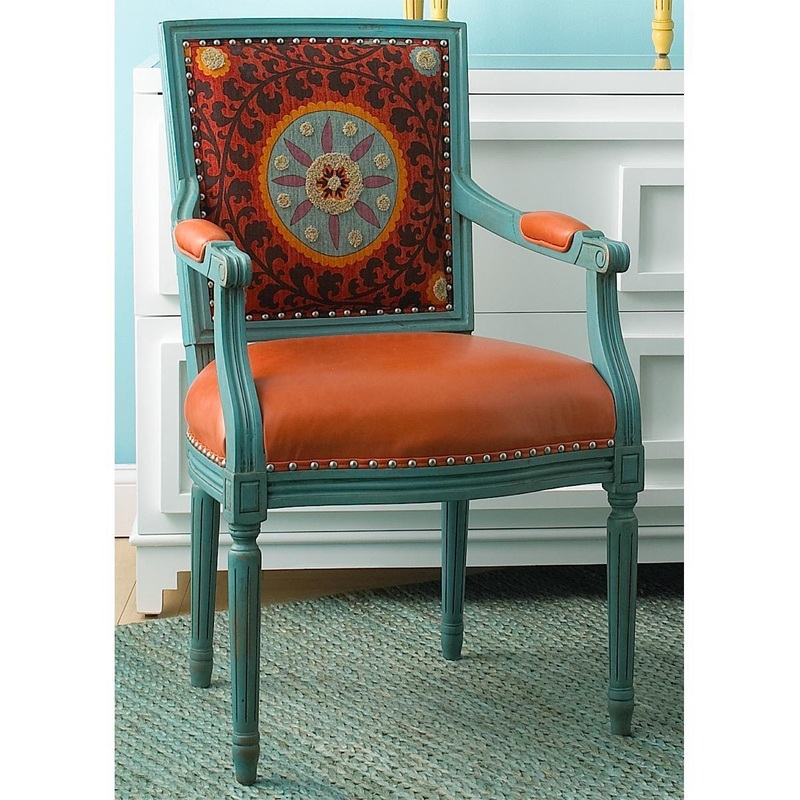 I am drooling over this absolutely stunning Suzani arm chair. The vivid suzani embroidered fabric on the turquoise wooden chair and the orange leather upholstery. It is a stunning piece! Okay, it is super duper expensive, nearly 2000 bucks!! Are my family and friends listening?? Remember my birthday is coming up soon!! I wish :-) However, I can add it to my dream list and share it with all you fabulous people!! It is truly a beautiful piece. It is like a painting and I would liken it to a piece of fine art. This is beautiful, I love the orange and turquoise combo.